With the new year underway, there is plenty to watch and anticipate for this year. Downtown Developments Hitting Major Milestones this Year! The Cornerstone Apartments – Construction for this attractive 200-unit project across from the BART station on San Leandro Boulevard is scheduled to begin this fall. The project will include 115 workforce/family units, 85 senior housing units, a ground floor child care center, and underground replacement parking for BART riders. 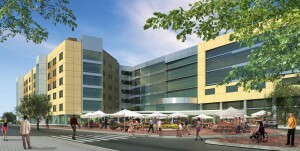 Downtown Tech Campus – Planning is moving ahead for the development this multi-phase Class-A tech campus adjacent to the BART station, with the Planning Commission set to review the project in the Spring and entitlements completed before the end of the year. 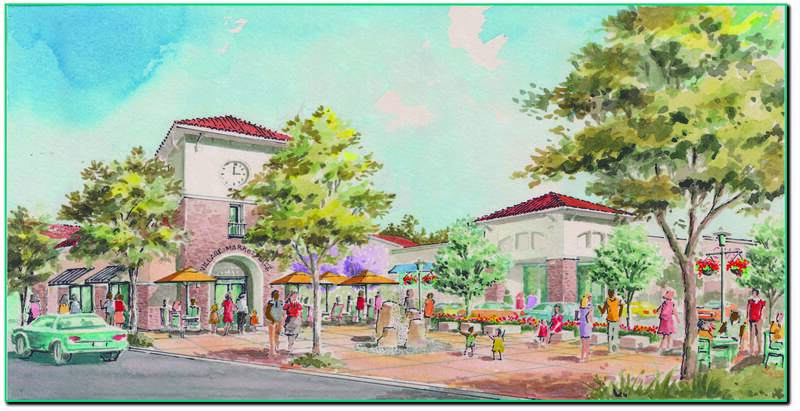 The Village will break ground in the coming months, and the development is on schedule to open before the end of the year, bringing with it tenants sought by San Leandro, such as a Peet’s Coffee and The Habit Burger, as well as CVS and AT&T. Additional Opportunity Sites – CVS and the City (which owns the adjacent parking lot) are currently making plans for a joint sale of the CVS property located at Davis and East 14th Streets. This CVS will close once The Village is completed, opening up a strategic opportunity site for new development in the heart of Downtown San Leandro. The Village has also served as a catalyst for additional interest in Downtown storefronts – expect to see some leases finalized and new businesses setting up shop nearby in the next few months! 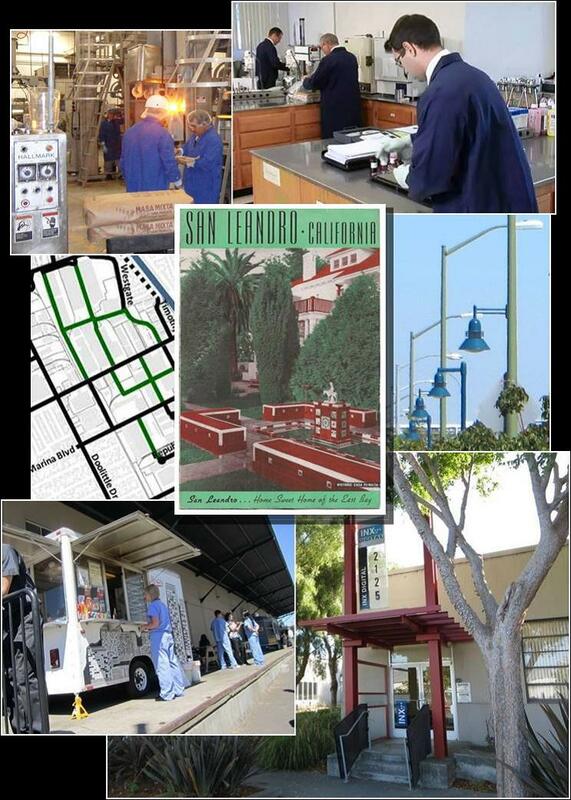 Downtown San Leandro will also benefit in 2014 from the initiation operations of the Downtown Community Benefit District. The District was approved in 2013 and received it first revenues in December. Plans are moving forward for the District to hire an executive director or management company in the next few weeks and work will then begin on maintenance, security, and marketing activities. 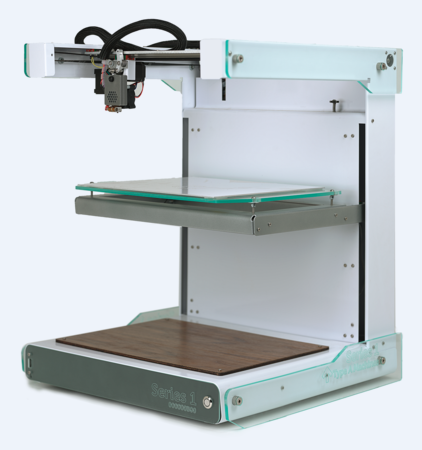 Starting off the year, the headquarters of Type A Machines (manufacturer of 3-D printers) relocated from San Francisco to The Gate, an industrial/maker space on the second floor of Westgate Center. Type A is bringing manufacturing, sales, support and administration, and 15 of the 18 existing employees, to San Leandro. Plans for growth include an additional 50+ employees in 2014. The owners of The Gate, SkanlanKemperBard Companies (SKB), are in the design stages of building a 10,000 sf community space within The Gate. This space will be completed in the spring and will accommodate the needs of the tech and innovation tenants for casual work, networking and meeting space. The opening of the Kaiser Medical Center is on track for this Spring, with the Medical Offices welcoming patients in April and the Hospital opening its doors in June. 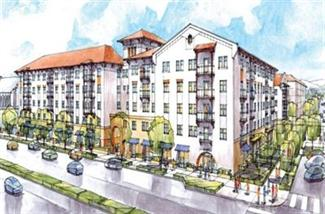 This highly anticipated complex will employ over 2,500 personnel and will have 264 beds, drawing people to San Leandro both to live and visit here. The 25-acre parcel situated north of the Medical Center and owned by Kaiser Permanente is slated for development, and planning is expected to progress as the medical center nears completion. A wrapped utility box located in Berkeley. Several exciting and fresh public art projects will be underway this year. 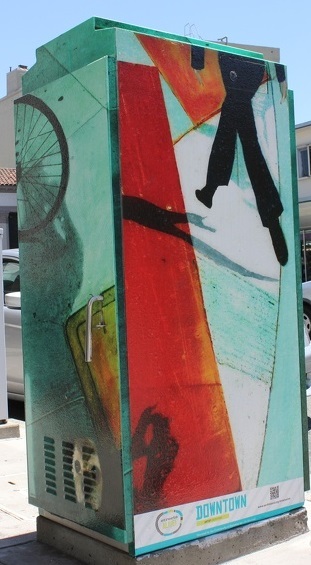 Multiple public utility boxes located in the Downtown will be wrapped in art through a partnership with Streets Alive. A Call for Artists reflecting themes of innovation, technology and sustainability, with preference given to San Leandro artists, will be made this spring. An additional Call for Art will be released this year for a mural on the expansive eastern wall of the Preferred Freezer facility, visible from San Leandro Boulevard and BART. Several additional public art projects are being explored, including murals and the development of dedicated funding streams. 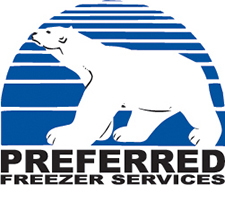 Preferred Freezer’s impressive construction time-line (watch the time-lapse video here) has them on target for opening summer 2014, with 50-100 permanent jobs coming to the heart of town. 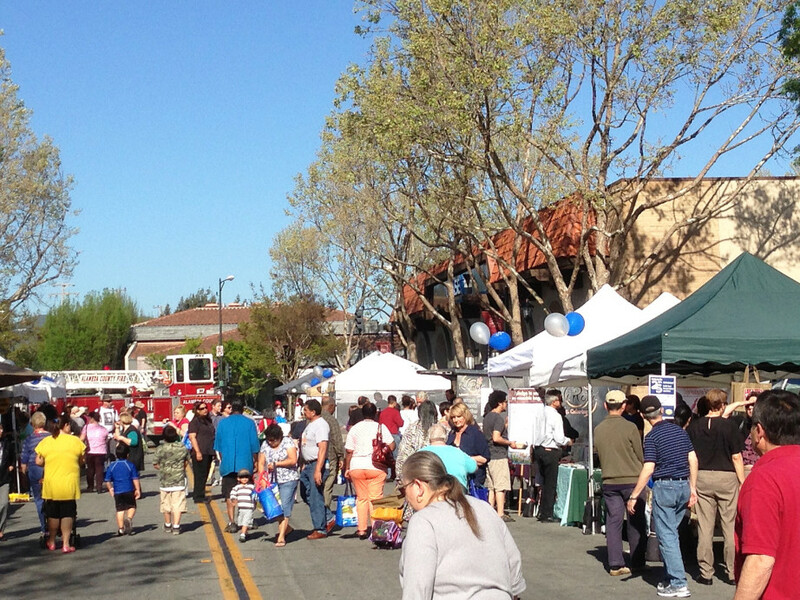 The popular Downtown San Leandro Farmers’ Market will return this spring. The season will be extended to begin earlier in 2014. Look for an announcement on the opening date soon. Also, the Cherry Festival returns to San Leandro this spring. Mark you calendars for May 31! Business Development staff is actively working with several business on facade improvement projects that should be completed in 2014. Two that we are especially excited about are Eden Center (14750 East 14th Street) and Mangal’s (1699 East 14th Street). 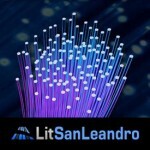 The significant extension of the original fiber optic loop will be complete this Summer. 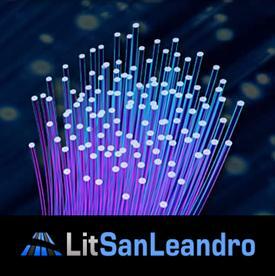 Funded by a $2.1 million grant from the US Economic Development Administration, the extension increased the original fiber optic loop from 11 miles to more than 18 miles. The Next Generation Workplace District Study for the Central Industrial Area, completed in fall 2013, is being used to guide the transformation of the industrial area into a vibrant, innovative and attractive 21st century workplace that will attract and retain advanced manufacturing and high tech companies and stimulate the creation of high paying jobs. The implementation phase of this Study is underway with a Working Group meeting later this month and ongoing meetings with industrial business owners. The improvements along San Leandro Boulevard will be wrapped up in the spring; new lighting, sidewalks, and landscaping are already visible. Keep an eye out for new way-finding signage which will serve to direct pedestrians and drivers to landmarks in the Downtown area. 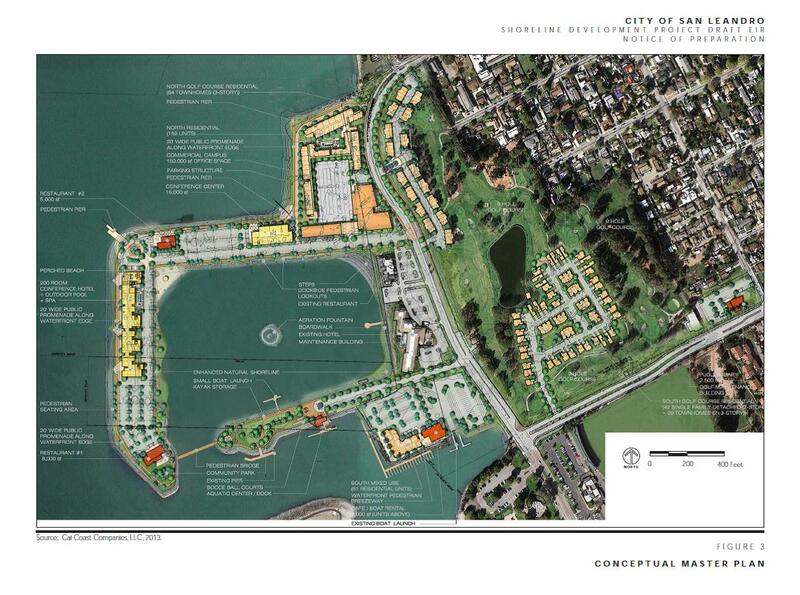 The Shoreline Development will hit a major milestone this year upon the completion of the Environmental Impact Report. This major development, which includes residential, class A office buildings, a conference center, restaurants and enhanced recreational services, is scheduled to have the permitting and agreement processes completed in 2015 and groundbreaking in 2016.
excited to know all of them! Glad to see things moving forward, but let’s start focusing and developing/improving South San Leandro, Historic BAL Theatre District and East 14th, we are the greatest opportunity for growth and continued positive change in the City! These things seem to be moving in a positive direction. Although I have been waiting 10 years to see a grocery store like Trader Joe’s, Whole Foods or Sprouts. We DON’T need another drug store or Safeway. I don’t like that I have to go to another city to get to grocery stores that I’d rather shop at, I would love to spend my money in San Leandro but I can’t bring myself to shop at Safeway, Albertson’s, or Food Max. This seems to be the sentiment of many in this city. I travel long distant for groceries: berkeley bowl, whole food, trader joe’s, Molly stone, dreager’s. I’ve stepped in a cvs maybe 10 times total last year. It’s a shame this community can’t attract higher end quality stores. Love to see downtown revitized like alameda, even downtown San Jose AND Oakland got it right after 10+ years….hopefully, it doesn’t take SL 10 more years. Same here, I mainly shop for groceries in Alameda (Marketplace, or Trader’s Joes) or Berkeley (Berkeley Bowl). Estudillo Produce and Deli is nice, but they don’t open on Sundays. I would love to have a great larger grocery store to shop in San Leandro. I totally agree. I do not know why chain stores like Traders Joe, Panera Bread,etc are not allowed in this city. Both of those businesses are allowed in the City. If either were to find a suitable location, City staff would eagerly work with them to bring them to San Leandro. Thanks. Unfortunately many businesses do not want to come to San Leandro-it’s called Demographics, and many feel San Leandro is not the “right customer” for their business. Oakland is up to their Knees with gourmet food and restaurants-even though when people think of Oakland they think CRIME…the restaurant scene is meager here? why?Paradiso is the only restaurant that is busy on a consistent basis and their food is pretty mediocre but the “atmosphere” is nice. I love san leandro, I’ve lived here many years but I shop elswhere…..so sad! If San Leandro City continues to ignore the fact that their residents have to leave to buy groceries then I am seriously going to have to think about moving. Driving to Alameda to go to a beautiful Safeway, then next door to traders is a pain. Not to mention all the way across Oakland to Whole Foods! On overage I spend $1200 a month in Alameda! Hoping for a TJs or Sprouts one day soon still! For those that are interested you can Google “request a trader joe’s store” and fill out their location request form: http://www.traderjoes.com/contact-us/location-request. You can also message Sprouts via their contact form and suggest a location request as well.